There’s no getting around it: Litigation can be both expensive and time-consuming. It can consume scarce financial resources and sap the schedules of business management. All too often, even the winner turns out to be a net loser. Given that reality, some smart businesses for decades have disputes resolved through arbitration, instead of litigating them through the state or federal court systems. Indeed, some companies include mandatory arbitration clauses in their employment agreements. Generally speaking, such arbitration clauses are effective in keeping employment-related disputes out of the court. During the past several decades, the United States Supreme Court has on multiple occasions favored arbitration, even going so far as holding that an employer may require its employees to submit to alternative dispute resolution. The Court has added that the Federal Arbitration Act (FAA) allows contracting parties to agree to arbitration even when state law requires the dispute to be resolved by an administrative agency (e.g., employment discrimination claims under Wisconsin law). In late July 2016, the Wisconsin Court of Appeals, in Menard, Inc. v. Department of Workforce Dev., 2016 Wisc. App. LEXIS 459 (July 26, 2016) issued an opinion that continues to strengthen the ability of employers to mandate arbitration of employment claims. The facts were pretty straightforward. The employer fired an employee after ten months of employment when it learned that the employee had a criminal record. Since discrimination on the basis of a prior conviction can be unlawful in Wisconsin under some circumstances, the employee filed a discrimination claim with the state Department of Workforce Development (“the Department”), contending her termination violated the Wisconsin Fair Employment Act. The employee had signed an employment agreement in which she had agreed to submit any dispute with the employer to binding arbitration. The Department refused to stop processing the claim, however, and the employer filed suit seeking to stop the Department’s action. The trial court granted the employer’s request and the Court of Appeals affirmed. The court held that the FAA preempts the Wisconsin Fair Employment Act. Given the federal policy in favor of allowing parties to submit their disputes voluntarily to arbitration, the effect of the employment agreement was to deprive the Department of jurisdiction. 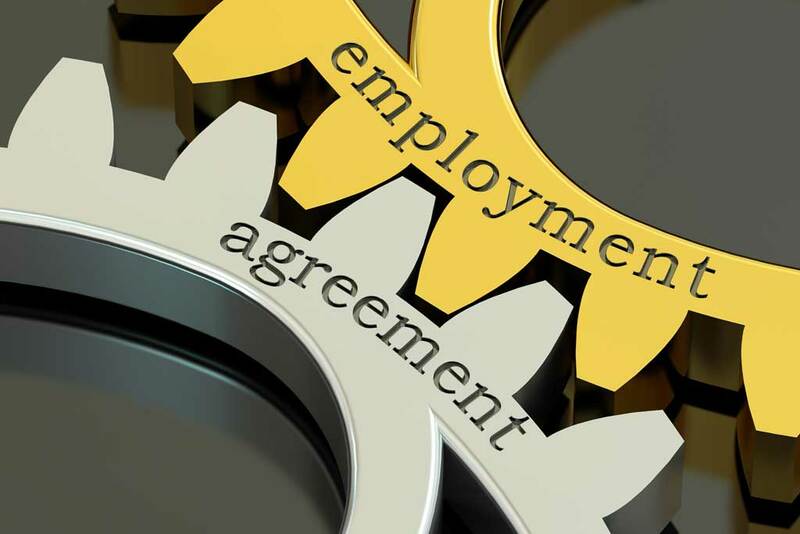 Employment experts say that in spite of the strong stance taken by both federal and state courts favoring arbitration, few employers routinely include mandatory arbitration clauses in their employment agreements. All too many employers utilize downloaded forms that omit arbitration altogether. Does your enterprise need an overhaul of its employment agreements? Have you become involved in an employment-related dispute with a current or former employee? Do you have questions about how you might take advantage of arbitration clauses in your standard business agreements? If so, you should contact the Milwaukee business litigation firm of Kerkman Wagner & Dunn We have over 50 years of combined legal experience representing business owners in Wisconsin. We’ve handled many sorts of employment claims and other disputes in state and federal courts. We can advise on arbitration matters as well. Our firm has big firm talent and provides small firm attention. Call us at 414-278-7000 or complete our online contact form.